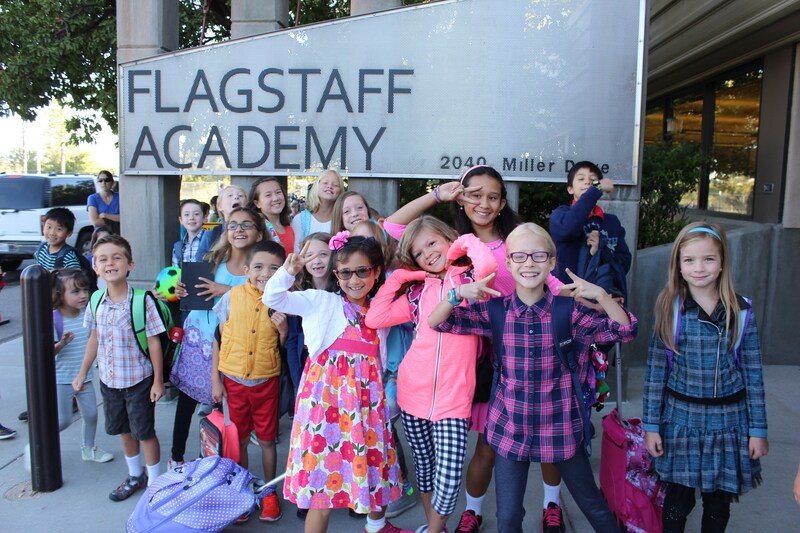 Flagstaff Academy is the premier Science and Technology preK-8th grade charter school in the St. Vrain Valley School District. 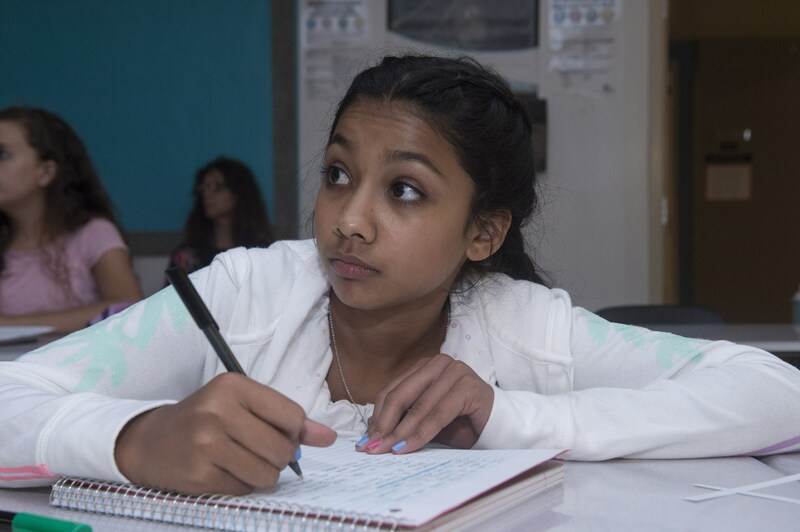 The curriculum's focus not only builds a solid foundation in science and technology, but prepares our students to succeed in high school and college, as well as become leaders in these fields. All Kindergarten, elementary and middle school classrooms have access to science labs and computer technology labs, as well as the only Geodesic Dome Classroom with an aquaponics farm, koi, and an outside organic garden. We also have a dedicated Innovations Teacher, who will be bringing engineering, coding, computer science, programming, and robotics to the elementary school, as well as supporting the high level middle school program. Read about our amazing Total Solar Eclipse day! 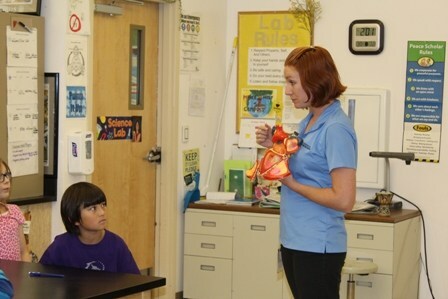 The heart of Flagstaff Academy's science program is hands-on exploration. We have four on-site science labs, one for elementary grades and three for middle school grades. We also have four full-time dedicated science instructors, one for the elementary grades and three for middle school. Students in Kindergarten and the elementary grades get to personally experience science by using lab-based programming in conjunction with the Core Knowledge science curriculum. The science program at Flagstaff Academy in the Middle School is more than your typical Middle School science class. Numerous difficult topics are studied such as protein synthesis, DNA replication, advanced physics concepts, and plate tectonics - all detailed in the Core Knowledge sequence. In addition we offer an advanced science lab, as well as science-focused "essentials" offerings for those students who want a more in-depth experience. We work to spark an interest in the sciences, and prepare our students to take advanced science courses in high school and into college. All students annually prepare an independent study of a science-focused topic and present it at our annual STEM Fair. We've had multiple winners at the Corden Pharma Regional and State Science Fairs. Visit our K-5 Science Lab site and our 6th, 7th, and 8th Grade science sites﻿ and see what our students are up to! 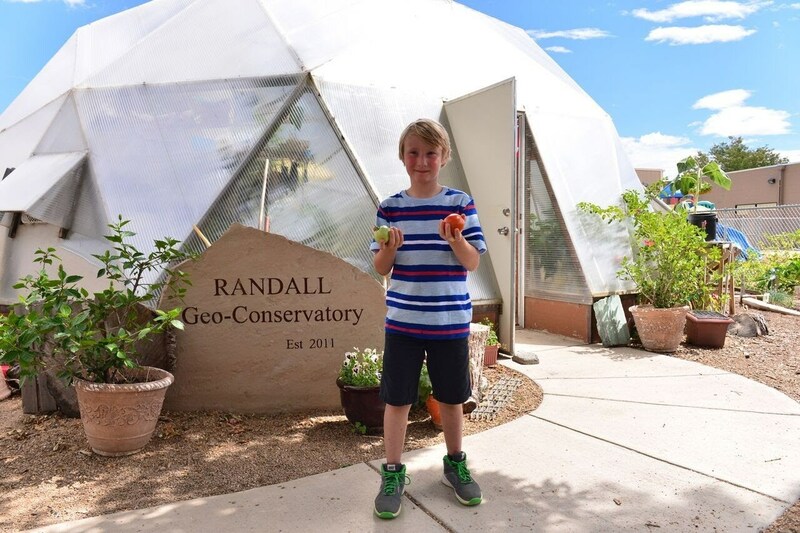 Flagstaff Academy is the only school in the St. Vrain Valley School District, as well as the only Charter School in Colorado, to have the Randall Geo-Conservatory, a Geodesic Dome Greenhouse Classroom. 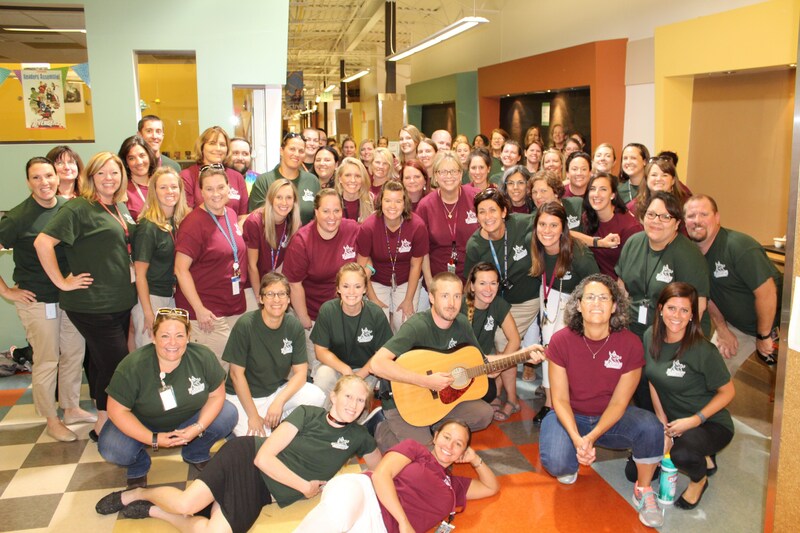 This unique learning space, with an aquaponic garden and live koi, provides every student from kindergarten through 8th grade with a hands-on experience that corresponds with our science curriculum. 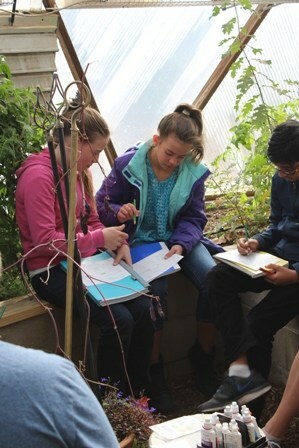 The Greenhouse Classroom is located in an organic garden courtyard, which all students get to plant and tend, as well as enjoy the fruits of the harvest. Visit the Geo-Dome and Gardens website! 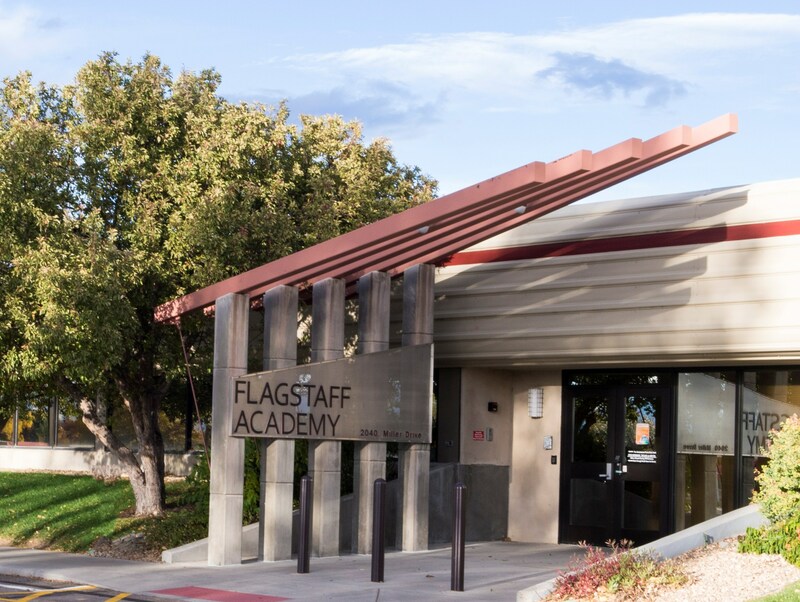 Flagstaff Academy has two Technology Labs, one for Kindergarten and Elementary grades, and one for the Middle School. Each lab is equipped with 30 internet-enabled computers and a robust suite of software applications. Large touchscreens are used in every classroom, as well as in the Library Media Center. In addition, our Middle School has a 1:1 Chromebook program, as well as in fourth and fifth grade. Our mobile Chromebook carts bring technology into any classroom throughout the building. Elementary students learn basic computer literacy using a broad collection of activities and lessons targeted at young learners, including the parts of the computer, keyboarding, internet safety, drawing, math and a variety of other PC-based lessons. We are proud to have a dedicated Innnovations Teacher, who will be teaching engineering, programming, coding, and computer science in both Elementary and Middle School. 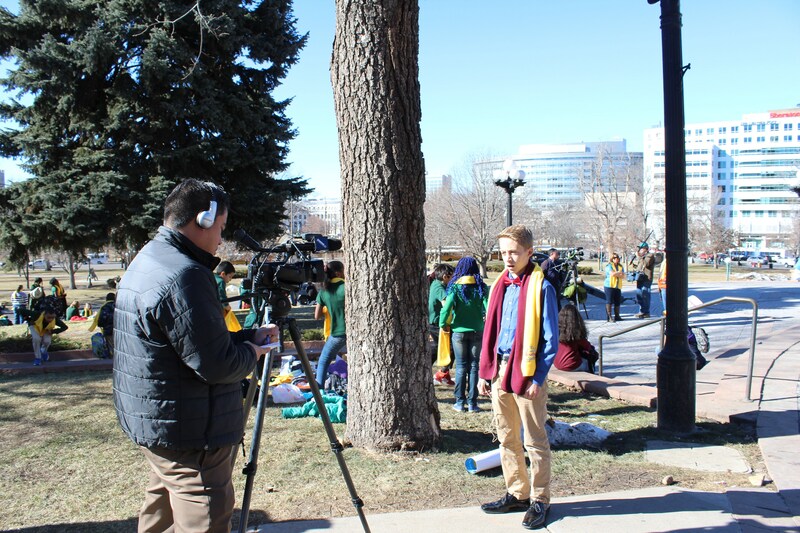 Flagstaff Academy students and teachers work collaboratively using Google's cloud-based technology. Students receive instant feedback on projects and assignments. The Technology Lab for Middle School students builds on the skills learned in the early grades, enabling the students to take on more sophisticated projects. Flagstaff Academy has been a long-standing member of Project Lead the Way (Project Lead the Way website) where students are exposed to engineering concepts such as Space & Flight, Circuits and Electrical Engineering, Robotics, Green Energy Systems, Architecture, and 2D and 3D Modeling and Design (CAD). Our middle school computer programming courses prepare our students for success in high school and beyond. Several of our alumni are now working in the computer science industry with companies such as Google. 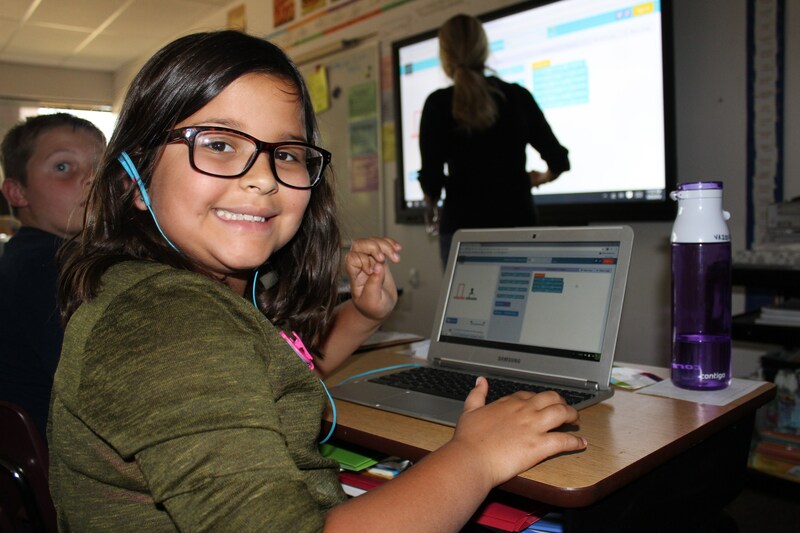 In all grades, Technology Lab lessons at Flagstaff are developed through collaboration between the technology teachers and the classroom teachers. This approach creates links between the topics the students are covering in their classrooms and the topics they work on in the tech labs. Visit our Middle School Technology and Engineering Studies site!